Maintaining a healthy blood sugar level is of the utmost importance. That’s why the Blood Sugar Tracker is a free tool that can help you organize your blood sugar activity so you can spot abnormalities or spikes in your sugar levels over time. You can then have this useful information to provide your doctor with the knowledge they need to help you. This template makes it fast and easy to enter your blood sugar information so you can get back to your life and do the things you enjoy. The free guide below will show you how to download and use this template so you can get started right away! To download the free template, just follow the link we have provided for you below. The next step is to just start filling out your chart. It’s really that easy. You will start on the table at the bottom of this page. You will see a total of 4 columns in which to enter information. You can enter your blood sugar levels as often or as little as you need. 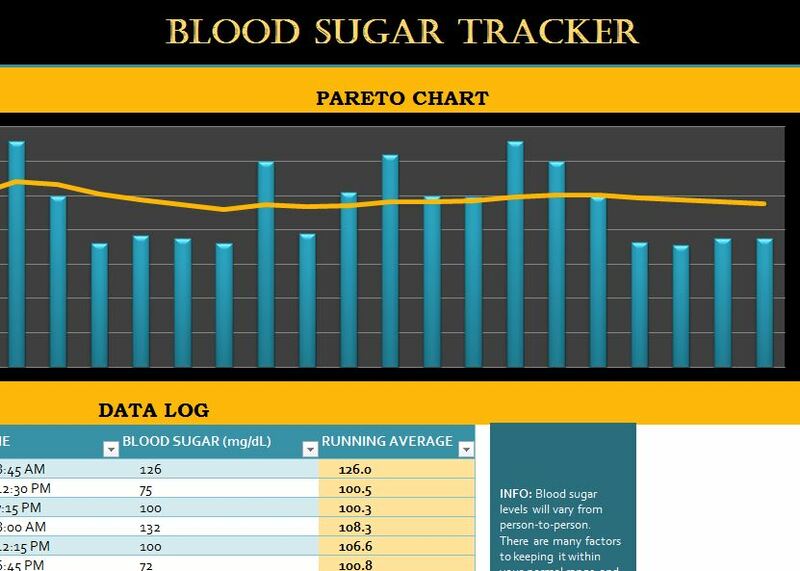 When you are ready to enter your sugar levels reading, just enter the current date in which you tested your blood, the time of day you tested, your blood sugar levels, and the template will display your running average. As you try and test doctor medications, diets, and workout routines, you should start to see your sugar levels return to a normal level over time. If there is something wrong with your readings, you can look at the date and see if there may have been something in your diet or if you forgot to take your medication and rectify the problem with your doctor. This template just makes it easier to keep track of your blood sugar levels so you can receive the proper treatment from your doctor.